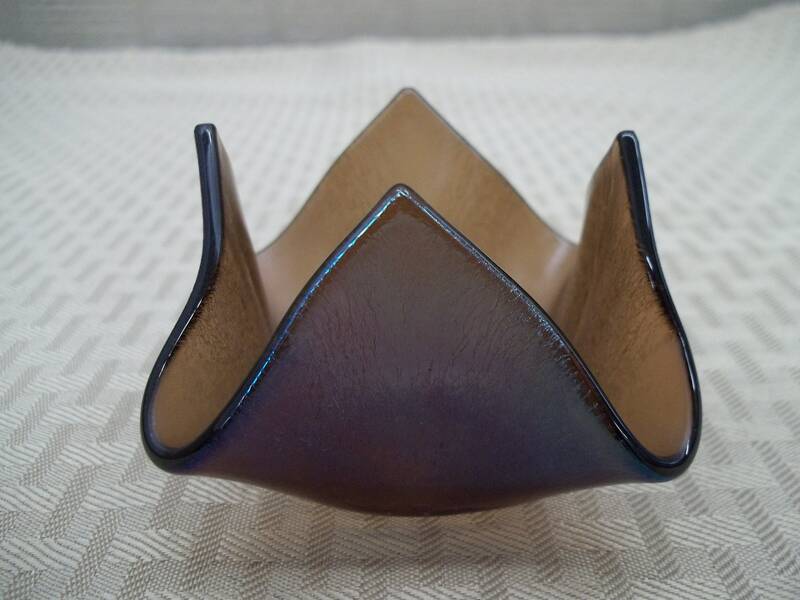 Iridescent glass is so beautiful. When the light hits it you can see a rainbow of colors. 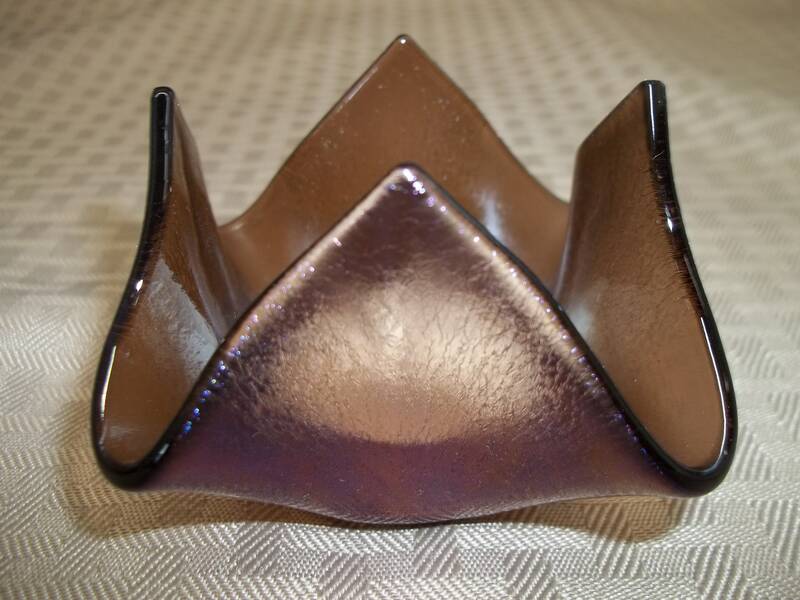 This iridescent, bronze in color candleholder, is transparent enough for the candlelight to show through. 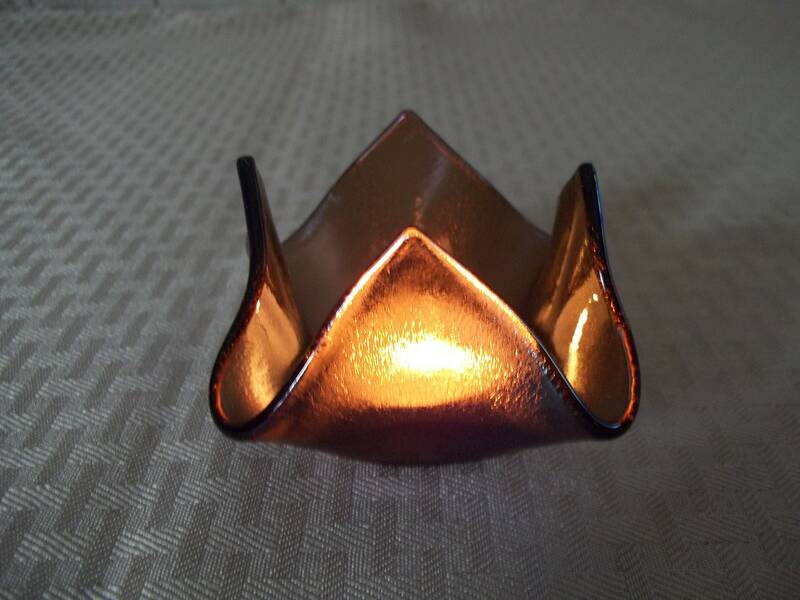 This handcrafted piece measures 3 1/2" wide x 2 1/4" tall and uses tea candles. One tea candle is included with purchase.